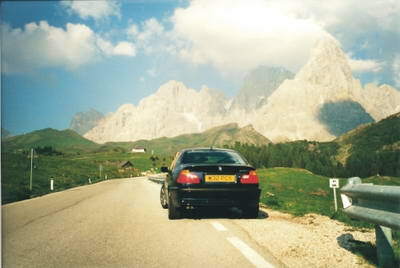 "Looking for Advice on Lake Garda Car Rental and Driving? 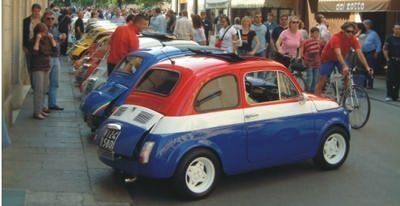 Read on to decide what You should do"
Whilst it is not essential when visting Lake Garda car rental does have it's advantages. However, for those who do not mind taking a little extra time and using public transport, the good news is it is generally very cheap in Italy. The only downsides are having to work your schedule around their timetables and limiting the number of places you could visit around the area. It also depends what you intend to do when you get there. If you are quite happy staying in one place or using the lake ferries to get around, you could save the expense of a Lake Garda car rental. We nearly always do a Lake Garda car rental though, as we love the freedom, speed and ease of carrying luggage to and from the airports and just to be able to go where ever we want at any time. OK, so maybe you are thinking of driving to Lake Garda from another country and not flying there. We've done this on several occassions and I can tell you we thoroughly enjoyed it! Almost anywhere you come from abroad will involve driving over some beautiful mountain passes on the way. The great thing about driving is you can stop when you want and buy loads of fantastic things in Italy because you have no luggage restrictions! The downside to driving is, unless you are actually quite close to North Italy, the chances are you can actually fly there for less money. You must also be aware that if you drive on the motorway in France and Switzerland there will be road tolls enroute. A long trip in the car can also be a challenge if you have young children! However if you do decide to drive, there are so many things you can see and do on the way that will ensure you have great fun. If you want to drive from the UK to Lake Garda you will need to take a car ferry at some point. Most people will go from Dover or Folkestone to France, but for those located further north it is also possible to head to somewhere like Holland from the east coast. The south coast crossings are the quickest and cheapest, but if you enjoy boats, then a longer crossing can be fun too! We have driven from the UK on many different routes. Through France, Switzerland, Germany and Austria, all have their own appeal and sites to see. We have taken trips to Munich, Basel, Reims, Salzburg and many other beautiful cities on the way through. We have driven over fabulous mountain passes such as the Grossglockner (near the Austrian border), where the road climbs to well over 2000 metres in height. Some of these passes offer stunning views, but do remember that these passes can be shut for many months of the year due to snow and may only be passable in the summer. Flying to Lake Garda on a clear day only offers you a fleeting look at the Alps. When you drive through these spectacular mountains you really get to appreciate their size and the huge area they cover. I highly recommend driving if you have the time. You'll discover so many things you never knew about before! The majority of people coming to Lake Garda from abroad fly here and with the deals you can get today...why not! So mainly for the sake of convenience, the airport you fly into will be the place you'll look at for your Lake Garda car rental. Generally there is a small surcharge for hiring cars at the airports (compared to other locations), but really this is not worth worrying about as the time and hassle to try and get into the city centre etc. would not be worth the small saving you might make. It pays to shop around for your Lake Garda car rental. We are often surprised by the price range you can find for the same vehicle through different companies. You also need to be street wise when checking on car rental prices, and not all companies compare like with like. We have often found that the cheapest initial price didn't include all the surchages, insurances, taxes or other fees, which once you add them on, make it more expensive than companies who have included them already. So check carefully, and look through the terms before deciding who to book with. We nearly always hire a car when we're here and being bargin hunters and we used to spend ages looking for the best deals on Lake Garda car rental. We have now found a great site which compares all the main car hire companies, so you can see quickly and easily which one has the best deal! Using this site not only saves you money but also the hassle of trawling through dozens of sites and trying to compare them properly. All you need to do is fill in the simple search box below and hey presto, up comes the results and you choose which you like best! In our experience it is very wise to purchase a car with air conditioning as it can get pretty hot here! Most cars nowdays come with this but you'll still find some smaller ones which don't. It pays to make sure you get the ideal Lake Garda car rental, car hire in Italy is not cheap and I am sure like us, you want a great deal as well as the right car! Driving around the lake can be great and we love driving along the lakeside which you can do for nearly the whole way round the lake. However, bear in mind that especially in the north part of the lake the lakeside road is the only way to get around and can get pretty busy. In peak season during August all the roads can get very congested due to the shear volume of traffic. During this time of year it is really worth trying to minimize your driving around the lake. In the busiest times of the year we would recommend using the ferries to get around the lake, not only is it a great way to appreciate this wonderful lake but it can be much quicker to. Remember the lake is generally quite long and narrow and a quick hop over on a boat to the opposite shore can be much faster. You can use the car ferries to take your car with you too. There are no fast roads which run around the Lake and the main lakeside road runs through all the main towns, so allow plenty of time to drive from place to place. The roads can also be quite twisty with restricted vision ahead so overtaking is pretty difficult. Leave plenty of time and take a leisurely drive whilst enjoying all the wonderful scenery all around you. Parking can be difficult in some towns with limited parking spaces and generally you need to pay to park. It is best not to leave it to chance either, as the Italian traffic wardens can be pretty keen on giving you a ticket! If you bear all these things in mind when driving around, it is extremely handy to do a Lake Garda car rental or drive your own car around, as it has many advantages. Mountain roads - If you have not driven here before, beware of taking a cross country route through the mountains thinking you will be saving time! Often these roads are not only very steep but extremely twisty with big drops off to the sides and you can get stuck behind slow traffic for ages. If you are prone to car sickness then I would definitely avoid these roads. It is nearly always quicker going the longer route on the main roads. If you are not in a hurry though, and like a challenge, then the mountain roads can be a lot of fun! Peak season traffic - As mentioned, it can get extremely busy in the middle of summer. Staying within a short distance of a ferry terminal on the lake can often be a clever move. Petrol stations - If you've not driven here before, filling your vehicle up with fuel can be confusing. Some service stations are only staffed for limited hours but you can use them during other times by pre-paying for a specified quantity of fuel. You can pay with cash or a credit card for a set amount, and the fuel will automatically cut off once you have had the required amount. This can be a bit tricky to guess when you're trying to fill up a hire car before returning it, so try and take note beforehand how much your hire car holds. Driving on the Autostrada - Italians are well known for driving fast and the Autostradas are no exception. Although the speed limit is usually 130 kph (around 80 mph), you will still find cars coming up behind very quickly. Always keep a close eye on your mirrors and be prepared to pull over quickly. To optimise your Lake Garda driving experience, find out more information on the Autostradas in Italy. Driving around Lake Garda - Bear in mind that the top part of the lake is very mountainous and so in places the roads by necessity have to go through tunnels. There are quite a lot more tunnels on the west side than the east, as the mountains here a very sheer. This means that you will see more driving on the east coast, if you're not sure which side will give you the best views from the road. Maps - To view detailed and customizable road maps of the area, take a look at our Lake Garda maps page. 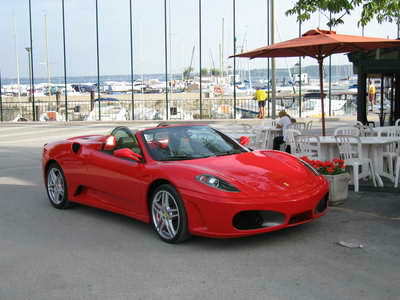 Lake Garda Car rental - Always book early to get the best deals and for good availability of all car models. If you are like us, car hire can often get left to the last minute! Take our advice though, it pays to book early, especially in peak season when availability can be low and prices can get inflated. Most spectacular way to drive to Lake Garda? Do you love driving to Lake Garda? Why not share your story about your most spectacular driving route and you are highly likely to get your own spot on our website! Your story could well feature on a dedicated web page and may even get in our newsletter too! How good would it feel to show your friends and family your own Lake Garda story on a well respected Lake Garda site! We love pictures as well, so feel free to send us your best shots and there will be no mistaking you then!